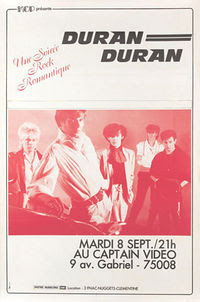 This time its Duran Duran from their very first trip into Europe, after the release of their debut album. The recording is unfortunately quite short, from a French FM broadcast, and in common with several other French FM broadcasts I have, the presenters do like to talk in between songs quite a bit! I guess to stop home taping - thankfully though, someone saved this for posterity. The story is that with it being recorded for broadcast, apparently EMI paid for Duran fans from Birmingham to be ferried over to Paris for this gig, to ensure there was a crowd! The recording was at the wrong speed (Fame was scooting along at warp speed...) so I've slowed it down a bit. After some hiss reduction and EQ to even out the sound and put some space between the instruments, it was done. 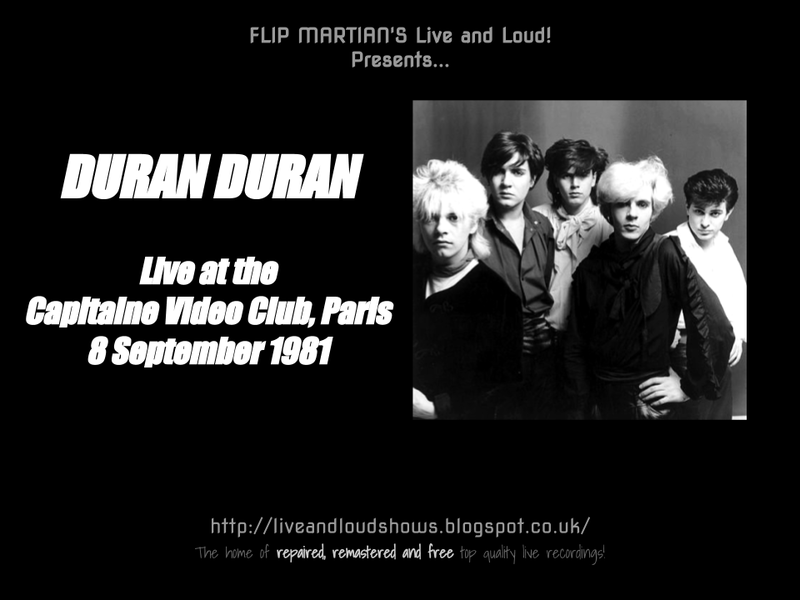 There will no doubt be a 3rd Duran Duran show up on the site in a few months. In the meantime, the show is now available to download exclusively for free here as 1 MP3 file. Or, if you would like to have separate tagged MP3s, or even lossless files in FLAC format, head on over to the Donations tab to see how you can obtain these for a very small donation towards the site costs.